Cuts to a housing scheme which helps more than 20,000 people could lead to the closure of some services, charities have warned. More than 100 organisations receive money from the scheme, which helps a range of people to live independently. Many of the service providers have been told to find cost savings totalling £3m - described by one as "devastatingly costly in terms of people's lives". The Housing Executive said the baseline budget of £72.8m had been protected. However, it added there were "a number of inescapable new financial commitments which need to be met". 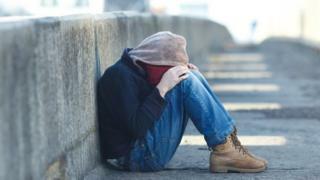 Ricky Rowledge, from the Council for the Homeless in Northern Ireland, said the cut in the Supporting People funding, which was announced in March, was starting to kick in. She said the scheme helped homeless people and families, the elderly, people leaving prison, people suffering domestic violence, and people with mental health issues and learning difficulties. She said the "short-term saving will have a profound and expensive long-term legacy". Recent research had shown that for every £1 spent on the programme, taxpayers were saved £1.90, she added. "That difference is where people, who are getting help and support within these funded projects, would end up back in the criminal justice system, they could be using accident and emergency, they could no longer be able to stay in their own homes and have to go into residential care," she said. "All much more costly in terms of the public purse but devastatingly costly in terms of people's lives." Jim Dennison, from the Simon Community, said the financial uncertainty worried everyone using their facilities, which were a "lifeline" and "safety net" to people. "The individuals we work with are not stupid by any means," he said. "They know that cuts to services could impact on the them." Organisations affected include MACS Supporting Young People, Mencap, Shelter (NI) Ltd, Simon Community and Women's Aid. The Housing Executive said new commitments in 2017/2018 meant it had to "advise providers of a reduction to some budgets in the order of 5%". "This reduction will not be applied to floating support schemes, where we have been able to maintain the budget at current levels as we see it as a priority to support people to stay in their own homes," a statement said. "After careful consideration, we deferred the impact of these proposed reductions, initially for the first three payment periods, to allow providers to plan and put appropriate arrangements in place to scale up or scale down service activities accordingly. "We will continue to work with providers to attempt to mitigate the impact of these funding reductions."